The Nikon Df is, at first appearance, the camera that many people have been asking for, for years - a classically styled DSLR with traditional external controls. But, for all Nikon's talk of a return to 'Pure Photography,' an awful lot of what's under the Df's confidently retro skin is pretty familiar. The Df is built around the 16MP full frame sensor from the company's flagship D4 with the processor and AF system borrowed from the comparatively affordable D610. The camera's appearance is inspired by a much earlier generation of film cameras. In fact, from the front the Df looks like an oversized Nikon FM (and not dissimilar to Canon's F1N). And, as well as the styling and dedicated external controls, the Df's other nod to the company's history is the inclusion of a retractable meter coupling tab, allowing the use of pre-1977 non-AI lenses. For those of us raised on film SLRs the effect is rather intriguing. We understand that the Df has been at least four years in the making, and the glee of its creators is almost palpable in the many specific design cues obviously taken from earlier SLRs including the FM/2 and the long-lived professional-targeted Nikon F3. According to Nikon, the 'F' in Df stands for 'fusion' - specifically, fusion of the old and the new. We know all about the old - the 'retro' styling - which leaves us with the 'D'. This of course stands for 'Digital'. The Nikon Df boasts a full-frame sensor, 39-point AF system and a maximum shooting rate of 5.5 fps. The LCD on the rear of the camera is a 3.2", 921k-dot display and, despite its 'fully manual' pretensions, the Df boasts front and rear electronic control dials alongside the dedicated physical dials on the top-plate. 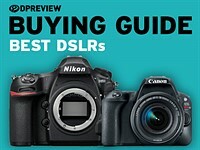 It's a thoroughly modern DSLR for the most part, but with one major difference. That major difference is video - the Df cannot shoot it (making it one of only two current DSLRs which don't - the other being the Sigma SD1 Merrill). In conversation with Nikon engineers, we were told that video was never on the table as an option for the Df, apparently as much a philosophical point as anything else. This is a serious camera for serious people which is to be used for 'pure photography', not videos (oddly though, the Df still boasts a full complement of retouch options including the decidedly lightweight fisheye and miniature effects). While it's true that many potential Df owners might not care about video, if you can add a function, why not do so? Since it's based around a video-capable sensor and shares its image processor with a camera that can shoot video, it's reasonable to assume it could be added via firmware, but the question is probably academic, since the Df has no built-in microphone nor a jack for adding one. Equally, the Df's relatively low-capacity EN-EL14a battery wouldn't last terribly long, even if such a feature were enabled. Df - a D4 in F3 clothing? 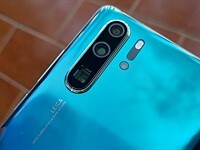 If you look beyond the Df's outward appearance, another aspect of its appeal is the relatively inexpensive access it gives to the image sensor used in the company's flagship DSLR, the D4. And while that's true, the omission of video and high-speed frame rates mean you don't get to take full advantage of its capabilities. Even without those aspects, the well-respected low-light capabilities of the D4's sensor should lend some appeal to the Df. The Df's optical viewfinder is very large - the same size as the D800. The magnification is 0.70x and, naturally, coverage is 100%. We've also shown the viewfinder of the film-era F3 here for reference. As you can see, the F3 offered an impressively large finder, and even the high eye-point viewfinder that glasses wearers tended to prefer was still larger than the Df's. When a DX lens is attached to the Df, the viewfinder shows frame-lines indicating the DX image area. One real shame (although perhaps not a surprise) is the fact that the Df's focusing screen is fixed. We had hoped for an accessory split-prism focusing screen for manual focus, but it's likely that the additional cost and incompatibility with modern pattern metering modes ruled that out at the design stage. Instead the Df has Nikon's standard 'rangefinder' display in the viewfinder, which uses the autofocus sensor to indicate when it thinks the lens is correctly focused. 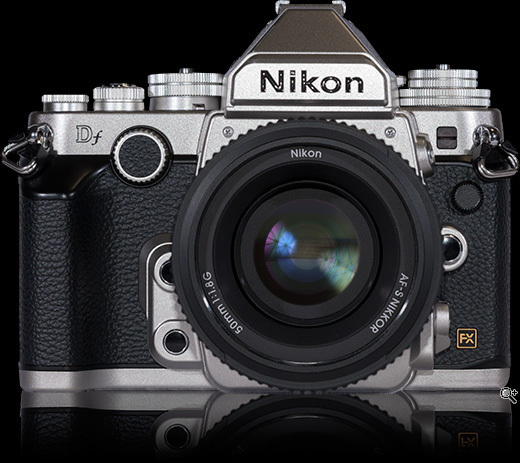 The Nikon Df comes in two color options - silver and all-black, and in the USA, both will be available for $2749 body only. Nikon has created a special edition of its AF-S Nikkor 50mm F1.8G to match the 'retro' look and feel of the Df (optically it's identical to the standard version) and this is available separately for $279, or bundled with the Df for $2999.95. The Df is being sold with a cosmetically reworked version of the AF-S Nikkor 50mm F1.8G, with some 'classic' (but entirely cosmetic) design accents to match the look of the new camera. In the UK, the Df is available only as a kit with the 50mm lens, at a suggested price of £2749.99 - only £50 less than the recommended price of the 36MP D800 and revamped 50mm F1.8. Unlike the US figure, this includes 20% VAT, but that still works out as around the equivalent of $3660, even if you take this into account. That said, prices change at different rates in different markets so, once the initial rush of customers has subsided, the prices might begin to look less unreasonable. Make it 36mpx! With the D810 sensor! Got a used Df, with less than 30.000 shots, for a very good price. Sold my D700 to pay for it. I mostly shoot on aperture priority, with manual ISO setting. Handling: the Gariz half case is good improvement. Autofocus: I disagree it does not work well in low light. So far, so good, I cannot notice problems in low light. Lenses used: AF-S 24-70 2.8 mainly, AF85mm1.4D Haven't tried my Sigma 100-300 f/4 HSM yet. 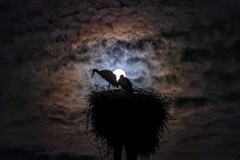 (Get that lens if you can find one, it is awesome!). I can change ISO with one hand, using two fingers, very quickly. Easier for me than with the D700. Strangely enough, I find that the sensor renders colours, and overall tones differently, maybe more like "old" slides would. 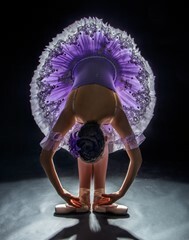 It is trickier to work with when the light isn't uniform, or comes from the back of the scene. With a 50mm f1.8, not even the f1.4 lens. I've owned since 1986: FA, FM and the FE, then several of F90ish bodies for film, then digitally the D2H (the best ergonomically speaking) on through the D200, D700's and now the D800e. Re reading the review I see no redeeming or enticing feature of this camera; already obsolete. Very odd. This camera ticks not a single box for me personally. Sorry - I love the M240 as a continuity from my Leica M6 body I owned, but see zero point in this overpriced retro-styled body. One less camera to hanker after I guess! After reading this review and all these comments, I'm very excited to purchase the Df as my first full frame camera. D4 sensor for half the price for great low light performance, manual dials which to me are a huge selling point as I've been waiting for a true digital/analog fusion, excellent AF performance, amazing lens versatility (I can finally bring my old Nikkor lenses out of retirement!). Not having Video functionality is a little troubling, although I rarely use the video function on my current camera anyway so not much of a loss there. This seems to be one of the only full frame cameras in my price range that doesn't have a "make or break" feature (or lack there-of) that turns me off from purchasing. Thanks Nikon, you've Successfully converted this Canon shooter with the creation of this beautiful camera! Right now i can't help to keep coming back to the design, of the DF, i had a brief chance to handle one! 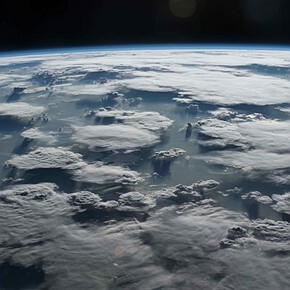 at first not a fan but as time has passed i keep thinking, maybe that wasn't as bad of a feel as i thought, I've got to say I'm still in the ball park to get one many features impress me and some don't? I loved many years ago shooting my FE2 w/wo grip, and DF keeps taking me back. "The interesting thing about the Df's design is that while it has the Ai indexing tab around the lens throat, it can be folded out of the way, to allow older non-Ai lenses to mount without jamming. 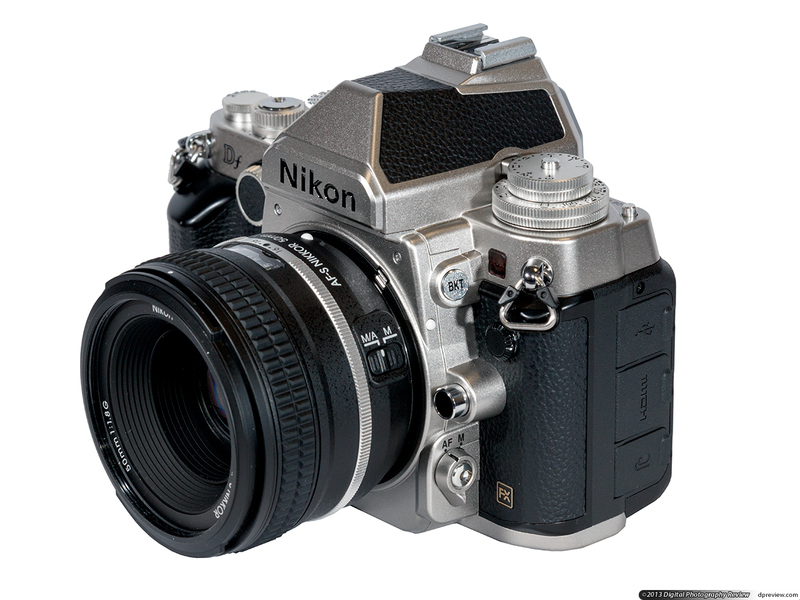 The professional F5 (1996-2004) was Nikon's last SLR to include it." Well, I believe the D3X has a foldable Ai indexing tab. At least mine did. Just returned from a two week trip to Malaysia to try-out a new Df that I bought for myself for Christmas. Took over 6,000 shots of resorts, beaches, in-laws, general scenery and people shots at markets and the streets of Kuala Lumpur. My % of "keepers" rose to over 75% versus previous trips where I used a Nikon D7000 or Nikon D80, where the % of keepers was considerably lower. Also, for the first time in my photography experience, several people actually expressed curiosity about my camera and complimented me on the look of my Nikon Df... including several millennial types who probably never saw a film SLR. 'Nuff said... I love it. 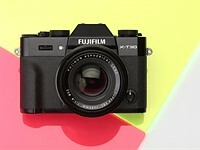 I think we are getting fed up with these hugely overpriced retro styled cameras. I would never buy one. Personally, I think Nikon need to bring a new D300s to the market. I would buy one of them. My D300S is still a new looking as the day I bought it. While full frame is tempting, I cant really say the D300S is not meeting my needs in any way. Love that camera. It was built for my hands. The DF has a cool factor. Would like to take one out for a weekend. Looks like a real mans camera. All of my Nikkors, from 16mm f/2.8 fisheye to 600mm f/4 are AI/AIS so this fits perfectly. 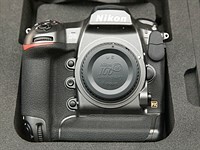 Although Nikon does not offer interchangeable focusing screens, focusingscree.com does. I ordered a microprism screen from them before my D700 ever arrived. Thank you Nikon for catering to your long time loyal followers! Read up on this camera. It has menus. Absolutely agree on all of the above. I have owned a bag of AIS glass and have just been waiting for this. Owned a D700 and now only use the DF. And Love the results. great colours and no bloated files for editing. Yes!!! Got one used a few months ago. Once set up, I do not go in the menus. As far as autofocus, I wouldn't need more points, but I would love that they would be spread wider in the viewfinder. Had another look at the Df alongside my FM. It is no heavier but is bulkier. 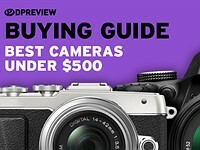 Price is over $3k here in Oz, so I'm looking at alternatives: a Fuji X-T1 as they have some nice FX primes out now, eg the 23/1.4 and the 35/1.4 - but they're not cheap either; also looked at the OMD-E10 again and I still don't like it in spite of all those good features (nifty lens cap, pop-up flash, pancake zoom). I just like the shutter-speed dial on top (Df too), and aperture and focus rings on the lens. Fuji have other lesser bodies also, and you CAN use a Metabones adapter to mount Nikin F lenses. I asked a pro shooting a wedding I was at, and he gave the X-T1 thumbs-up - said some colleagues had abandoned their Nik/Cans for Fuji. I'm looking for a devil's advocate. The Nikon Df is a mix between old and new. It is for people who like to use cameras like 35mm slr film cameras. Cameras where you have to think about what the aperature, f/stop,and shutter speed must be set at. Now this wasnt that long ago (really it wasnt) but my senior year of high school I took a few photography classes. These classes were needed to fill my schedule and at first I didnt really know if i would like them. they were classes where we were using 35mm slr cameras and then we got to make a pinhole camera. I loved it. there were only 3 of us for photo 2 so technically the class shouldnt have gone but it did because 2 of us were seniors and everyone else dropped the last day before break first semester. We got to pick what we wanted to do and even check the school cameras out over break. So when my parents told me that I was getting a camera for graduation. I really wanted the Df but it was too expensive. I have the D5300. I hope to own a camera similar to the df. I'm confused what you're supposed to do with this camera. To use older lenses? But there are sites online (not just dxomark) that show the older lenses are MUCH softer than any of the newer generation of lenses. Less chroma, less distortion, less fringe.. 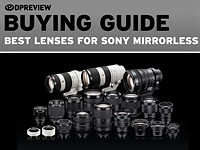 If someone with collection of older lenses buys this camera so he doesn't have to "upgrade" his/her lenses, why not just buy a different camera and newer lenses? I'm curious. Most of the Nikon lenses that comes in after 1977 aren't terribly soft, though definitely not tack sharp wide open. The Nikon Series E lenses were snubbed back in the 80s for being 'plastic', but their construction is far superior to any modern professional grade lens, and those were the cheap lenses. The mainstream Nikkors of the 70s and 80s were built like a tank and handles like a Porsche. Even in the age of digital autofocus, once you've tried for yourself the focusing experience on a legacy Nikon lens and compare it to today's lenses, you'll see why it's such a big deal. Plus everything you learn about manual focusing helps when you run into a situation where auto focusing is unreliable. Exactly! - that's why I want to keep my primes and just use 'em on a digital body where I can focus and choose aperture and speed without having to deal with endless bs menus ... just frame the shot adjust exposure, check depth of focus - and shoot. That's all. Why Can't I get it in a package as small as my FM - or smaller? Using a number of Nikkor Ais lenses, I can tell you they are not soft at all on modern Dslrs, on the contrary. If there is one thing that you need to control is flare. That said, I use these lenses not because I am looking for the quantified image quality you refer to (resolving power, aberrations and so on) but for qualities that lie exactly in their flaws and their special signatures when used properly. I am sure that if you used a 50mm 1.2 Ais for close subjects at 1.2 you would appreciate it beyond its apparent halos and flaws. I own a number of nikon's newer lenses like the 14-24 and 24-70 but I still love my old manual ai, ais and non ai lenses. Every lens, including the new ones, has it's own particular set of strengths and weaknesses. Guys who love the Df and manual focus Nikkors do not shoot brick walls and analyze the chromatic aberration data (except for Bjorn!) 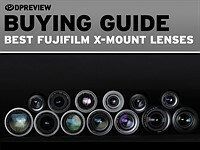 These lenses are beautiful and produce images that have a character that is somewhat different than the newer models. A lot of my oldies are every bit as sharp as the new ones and they are exquisitely built. I also just love the aesthetics of them. And they look and perform great on the Df. Overall I think owners of the Df, myself included, have an appreication for the camera the younger shooters wont appreciate. 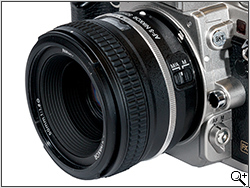 The Df has the ergonomics of older 35mm cameras such as the F3, FM, FE and even the F4s. But with the added convienience and quality of digital. Younger shooters were raised on LCD sceens, not that the Df is lacking, but with the added "traditional" dials it adds to the fun. The thing I really took a liking to right away was you can tell exactly what the settings are just by looking down at the top and not have to thumb through menu after menu. Exposure compensation is way easy to adjust and is overall a joy to work with. Not to mention alot of the older lenses can be used. Nikon has really out done themselves on the design, with exception of the strap lugs. I wish they were a little further back, and a but more grip. Perhaps on the Df2, the can add a second SD card slot and make the grip a little beffier. Overall though the Df is a joy to own and shoot. I would say speak for yourself when it comes to "getting fed up......". Just because you would never buy one does not mean a lot of us WOULD, myself included. 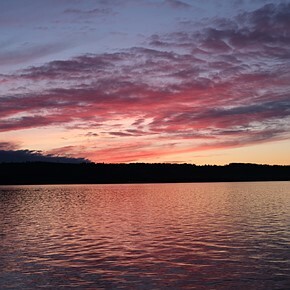 If you are happy with an amateur camera like the D300, whatever floats your boat. I have waited for a camera like this for a long time, I use my D700 as nothing more than a digital version of my F2 so this fits in perfectly. To keep this thing going, I'm another Df owner that hopes it lasts forever. It is absolutely my favorite Nikon ever, digital or film, even the beloved FM2n. I have built up a pretty nice set of AI and AI-S lenses. And for seasoning I have a Voigtlander 40mm Ultron II which is fantastic. I still have a few AF lenses, and I use them sometimes. But if I want to do "enjoyment", it has to be one of my MF lenses. I got rid of my longest held lens, a 70-200mm f2.8G, and I replaced it with MF lenses. I have a 200mm f4 that came from an estate sale. It had never been used. The lubricant was so dry I had to send it to Nikon to be cleaned and re-lubed. I now have what is essentially a new 200mm f4 that was built in 1979, and it is probably one of the highest quality lenses on the planet right now. It fits the Df so well and works so well, it is pure pleasure to use. The Df made this kind of thing possible and even desirable. You take your time, and you just enjoy every moment with it. My old 50/1.2 AIS lens has got new life with that camera. Perfect combination. I did love Nikon F3 and Df for me is a great camera and perfect companion for my Nikon D3. Nikon user for 30plus years digital since D100. Very pleased with my Df. I have been using a D700 and love the image quality... but bought a D800 and can say it is the first Nikon I have failed to love it was the first that I could not get good images straight out of the box!. A Most Excellent Camera. THE perfect FX camera for my landscapes. Ergonomically complete. No plastic mold feel, wishing it felt just a little bit better. 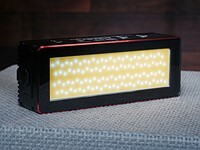 The best of all worlds---small and tough and great sensor. Nikon, please don't stop developing this class of camera. exelent camera and good review guys, but why you always changing studio scene - maiking impossible to compare with older cameras? compact compared to the bloated, plastic hulks that are bigger than the 6x6 and 6x7 cameras of yore. 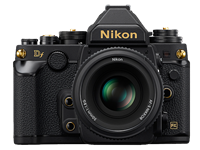 If something were to happen to mine, I would immediately buy another Df black body for fear Nikon might decide to make it a short-run product. Thank you, David. I played with a Df in a store but they knew squat about it, and got edgy, so I walked. Had my AISs to try, but he didn't understand what I wanted to do. I like to use primes wide open in lots of situations, so aperture priority is nice. Can I use the Df like this with old AIS primes? BTW, I did notice how nice the VF was for focusing (I tried it in a dark corner of the store). Gone off the OMD-E M10. Sony A7 looks like the sole alternative as I can buy an adapter for my Nikkors, and its full-frame also. Don't know of any other non-Nikon that will do that. Kind of sorry I sold my 85, but it always was a bit short and a bit soft. When I get the body nailed, I might look for a 105 - how does yours shoot on the Df? I looked at a D610, but didn't like it much. and saw the little entry level EM - how cute was that? The equivalent of the OM10. What amazing value those were really at the time. I have great nostalgia for those old 35mm cameras, though using film is getting more and more tricky, unless you have your own established darkroom set up. I must say though, that even the entry level DSLRs have so many options that there is plenty for a geek like me to enjoy so one can't complain. 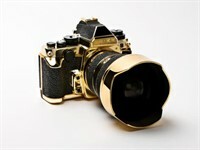 I think the design and looks of the DF makes it a mans camera…not like the poofy/bling/girly looking stuff around today. What in the heck is a "man's" camera? All cameras are simply cameras that either work for your professional or personal needs or it doesn't. Whether it has rainbows and pink giraffes stamped all over it is of no consequence to usability and image quality. Advice, please. I will replace my FM (28, 35, 50, and 200. What's making me go digital is the demise of Kodachrome. Do I toss the lot and get an Olympus OM-D E M10 with the pancake zoom and self-closing lens cap (and no bigger than an old OM-1, which is my second favourite camera after my FM). (I've owned and used a few over the years, starting with a box Brownie, then a Kodak folder, a Leica IIIG, other rangefinders, SRT-101, X7, then came a Nikon F with photomic head, then a Nikkormat FTb, and lastly the wonderful FM, to which I have been faithful for 30 years!). Best is Nikkor f2/35 that delivers every time on the edge, e.g., in a European cathedral in winter when light is low and Kelvin-shifted. The FM body is good because you can shoot for depth of field and focus, change the speed for available light, then frame, all without looking at the camera controls. Seems both the Df and OM-D can do this. 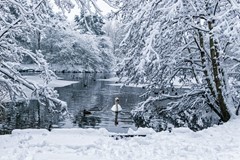 It's the compact size of the OM-D with lens retraced that gives it an edge. If you have spare money, don't get rid of that wonderful Nikon FM. Once lost, never regained. 11 years later, I spent about £450 on an OM-4Ti with its fab multi-spot metering and annoying battery drain - but I sill miss the OM-10, because at £89.95 it was fabulous value and with another £15 you could add Manual mode. I ended up with a couple of nice used OM-2Ns and some lovely Zuiko lenses. I would hate to get rid of them esp my 35 f/2, 85 f/2 and the tiny and gorgeous 16/3.5 fisheye and 21/3.5 superwide. I switched from the FA to the F90X and then to the D700. Still have a FM-2 for infrared film. I like the D700 but it is very complex and I am still not fully adapted to all the functions and settings. Maybe the Df will do better. Since I have the DF ( April this year) I've hardly touched the D and D800 despite their superior AF, fps (D3) and pixels (D800). The Df is definitely NOT ugly. I started shooting Nikon back in 1967 with a Nikon F....I still have it, along with a Nikkormat EL, an F2S and a myriad of classic Nikon lenses. The Df is perfect for me. I can use all my lenses, plus the newer digital lenses that I have also purchased for my first digital Nikon. Who the heck needs video on a DSLR? The Df reminds me of a large Nikon FM. A camera for .... photography?? that looks like .... a camera?? Absolutely beautiful concept and camera in the world of products designed for manufacturability and main stream thoughtlessness, coming from the company known for catering to people who know. Ordering with 85mm 1.4D. Saw it in the store. Has to be one of ugliest, most ungainly cameras I've seen in several decades of being into photography. 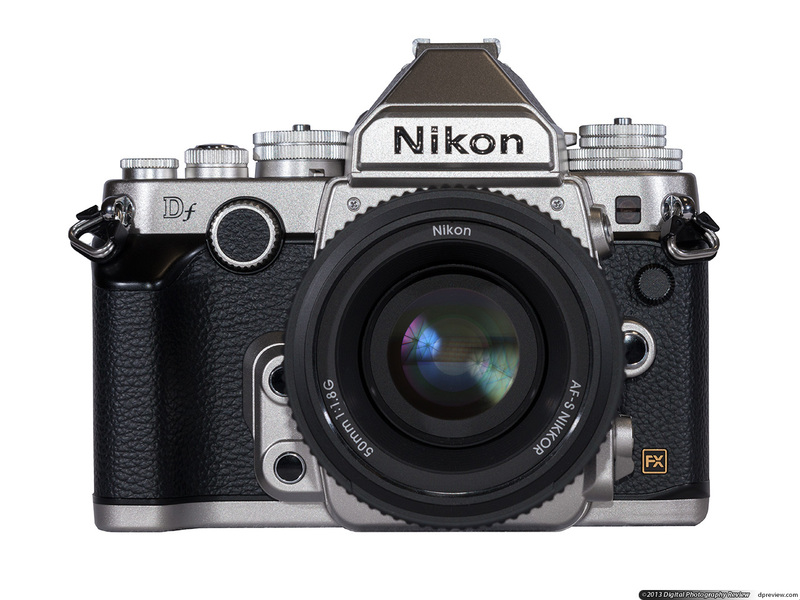 I owned the original Nikon FE, FE2, FM and FM2's, which were really attractive cameras in their day, and I still keep my old FE2 as a keepsake, but I have to say this new digital Df looks like a Frankenstein. It's just ugly. The thing is, I really like the design of Nikon's other DSLR's, and I've owned a few Nikon DSLRs over the last few years - but this Df looks like it's made of Lego bricks. I'm curious how many of these Nikon have sold, and whether the people who buy them value the appearance of their cameras? As of last month, Df is still in short supply in Japan. While I still have not had a chance to try it on my hand, the bulkier appearance (taller, thicker, and shorter) than FM/FE series probably will fit me just fine as I'm used to use F3+MD4 and F4S. I have a Df arriving for test tomorrow since I'm looking for a smaller camera than the D3 I currently use but don't want to jump ship nor need the D800 huge RAW files. I loved how the camera felt in my hands at the reveal here in Croatia back in November and now I look forward shooting a wedding with it to see how it performs in the real situations. Personally, I love the retro appearance (will opt for a full black one, dough) and the possibility of having the D4 sensor for half the price is just great. Will post about it next week after I finish testing it. Retro look, what retro look? I have been using Nikon cameras for 45 years and I have never seen a Nikon like this, it looks weird and boxy. 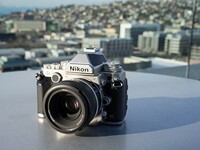 You want to make a retro Nikon then stick to the Nikon F or F3 body style, these cameras fit in your hand like a globe. The Df failed in that category. I think I've mastered the dails already. Don't like that the whole batt cover plate can come out. so much less to worry about. just decide on 3 things and compose. I still find it laughably ironic on how many reviewers complain about the locked exposure compensation dial...when it was Nikon's standard for over 40 years. And just one of the reasons why I DIDN'T buy a Nikon film SLR. When the locked exposure dial was Nikon's standard, everyone thought it was "normal"; now that Nikon no longer uses the lock, everything thinks that is "normal" - in other words, everyone accepts what is most commonly handed to them [by Nikon] and learn to frown on the alternative. I believe the dial is only locked in “A”. I’ll check to confirm. But this point was raised and explained months ago. I checked, and it's only the 1/3 setting that locks on the exposure dial. So basically: Not a locking exposure dial. I noticed the exposure compensation dial can be cumbersome to use, as it's integrated into ISO dial as well. Don't know how FM / FE series were set up, but the F3 was set up exactly that way. And I wasn't a big fan of this (alleged) efficient design. I saw this camera in real life a few days ago. The touch and fell and its look reminded me of a Chinese knock off of a Rolex watch you can buy in Canal Street. Did you shoot with the Df? Does the image quality lack? Does it not function well? Then magnesium by volume is lighter than brass. I think there's a certain irony that some have complained that the Df looks clunky, an aesthetic problem real, and fake, Rolex watches oft times have. I have no doubt the image quality is outstanding, yet the main reason someone should buy this camera over a D4 is the look, touch and feel. Nikon failed to provide exactly on those 3 points. The camera is a far cry from the original FM2 which it is inspired from. Also it is too big for no reason. The Df is slightly better at high ISO lowlight shooting than the D4, and the Df can be set to shoot more quietly than the D4, so those are reasons to use the Df instead of the D4. The Df is of course also lighter and less expensive than the D4, so those are two other reasons to buy it instead of the D4. Making things smaller and just as functional costs monies. Note that the Leica M240 is thicker than the Leica M6. I love this camera! It is the best I've had by far. The dials are a bit tricky at first but give a lot more satisfaction when shooting. It is a camera for people who like to tinker and adjust and play while shooting the perfect shot - not guys who take 5000 shots and then choose 2 out of them. This is not a professional studio camera, it can be used as such but you can't adjust it as fast real-time as 5D, D3x or D4. I'd recommend it to anyone who loves to take photos. Just add to it a nice 24-70, f/2 and you are good to go! The only thing that's "bad" on this faboulous camera is: autofocus in low light. Nikon gave people who clamoured for it a retro camera. It's likely they won't do this again thanks to the reception it's gotten. Why? Is the Df not selling? Could it be a better version of many dial control, like the Fuji XT1 or Olympus EM1? Yes? PLUS: D4 sensor inside a compact D600 / retro body. CONS: EVERYTHING else ! For my kind of work (aerial photography) I need 3 camera bodies. I have a D3, D3x and a D4. Since I have the Df I never leave home without. It's by far the best camera I ever had. The 50mm 1.8 lens is a perfect match as well. Thank you for making the point about the easy of manual focusing. EXACTLY!!! I almost didn't buy it after all the negativity around the web. It matters what you're trying to shoot and the lenses you plan on using. It also matters if the best dynamic range (also dependent on the lens) is really important to you. Oh! lord, did you really love the amateur, more than the photo-artist, you made so many of them ? And lord the 'Egos' please lighten them up. It was much more fun, when you could pick from the two models that everyone made 'back in the days'. Who needs 64 models vs. 47 models? Does it make the shutter pusher any better. Are we just paying for R&D ? Yes I use some really old lenses from Nikon, I've built a mount for a Leica Long Focus, to work with a cheaper Nikon motor drives. It still works, even today. Digital is nice for those who have to see if the camera really worked and the capture is there. While the world moves on. My cameras' have taken me to many countries. And I've seen many different peoples through Nikon lenses and will some more. I do not want to be a troller or such. Maybe I do not understand Nikon philosophy because I do not own one. However, as much as I admire Nikon effort in producing exceptional cameras, I do not find myself a single all rounded camera to fully satisfy me for all conditions. Nikon made a tonne of bodies lately but i do not see a single do it all camera, that I would be ready to grab for all occasions. I.e, the performance body is the D4, but I would not take it with me traveling or to a party, just too heavy and intrusive for some situations. Also the resolution is at its minimum these days (landscape?). D800 is too much resolution and a tad too slow for all condition gear. The D610 sounds promising, but the AF is not quite up there. Really the D700 was THE camera of choice (although a bit low in resolution). Really I would not know what to pick right now for an all condition camera from Nikon. If somebody is happy with a crop sensor I guess the D7100 is excellent, but a no go for me. There's no such thing as the perfect all round camera, and Nikon wouldn't sell it anyhow even if they knew to make one. This was also true back in the film era. Drop the idea that 16 MP is limited resolution--it's basically a delusion, and more mega pixels can easily degrade image quality. The D7100 is fine camera body, and APSC sensors are excellent, this one included, but there's the buffering problem with that particular body. I think 18-25 mp is a nice range for full frame MP count. 16 is just a tad low. I guess it still depends on the person's use, but for sport photography or where cropping is frequent it does make a difference for sure. 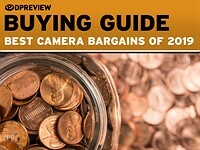 Honestly the best all rounded camera on the market right now is the 5DMKIII. It would be nice if it had more dynamic range, but it does get away with what it has most of the times. I find that each Canon camera has a well defined marketing and purpose domain with the 5D being the happy medium. Nikon distribution is more chaotic to my taste, at times some cameras even cannibalize products within Nikon lineup (i.e. D800 vs D3x). Or jumping from the low MP count of D700 philosophy to the extreme opposite of the D800. Not to mention the Df, a no land camera. Do not get me wrong, I think they are all very fine cameras, potentially better then the Canon counterparts, yet the whole picture is not very organic. Some choices seem impulsive and not so well though out. Ah, one more thing. Sure there cannot be a camera that is best at everything, however you can have a camera that excels at everything, I am not sure why Nikon would not want do make it, as it has shown will to cannibalize its own products for the sake of gaining market share. That would have been the D800 with a D600 sensor and a buffer and speed of the 5D MKIII. 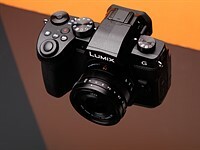 Which is basically a 5DMKIII with improved sensor performance. 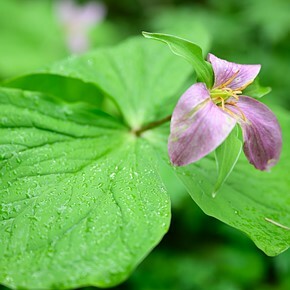 The 5D III is a nice camera. But not great at high ISOs and as you say DR lacks a bit. So those are reasons for fewer megapixels in say the 6D or the Nikon D4. If you know what you're doing, much cropping isn't really necessary. And most people simply don't print at 20 by 30 inches. Again for all rounded cropping is important. When you are shooting sports it is an very important feature. Have you actually used the 5D? ISO is really good, I am not sure why you insist that is not so much. Let me give you and example of how flexible this body is. I was in Brazil for 2 months I shot from fashion swimsuit to up to my neck deep in a lagoon shooting kite surfers, raw 1080 video, street photography. I cannot think of another camera that could have handled all of that to the same extent. Nikon D4 would have not been an option for some of these situations, like street photography, or no cropping power for kite surfing. I also shot surfing, but I only had a 300+1.4x cropping was important too, and weight was at time too. Right, that kite surfing example would be a good place to use cropping, or an APSC sensored DSLR body. Then of course the D800 allows for more cropping than the 5D III, but for either the D800 or 5D III dynamic range limits come into play. If you're shooting fashion, yes big prints come into play, but that's just not real common. I have the camera for the past 2 weeks and it is exactly what I am looking for in a camera. I have a D800 and traded in my D3 for the Df. I will give top marks for to the Df for its image quality, ease of use, and simply gorgeous design. When fitted with the Nikon 50mm 1.4D, the combi works and looks great. Being able to use the aperture ring again is both nostalgic and exciting. Top marks also for the retro and yet fully functional design. I agree that Df feels even better with primes. You know that you can use the aperture ring of AF and manual focus lenses on other Nikon's right? I'm not entirely which, but at least on the D7100, it's an option in the menu under the command dial settings, so the Df is not unique in this respect. The major advantage of the Df as far as lens compatability is the retractable AI tab. Very disappointed when this was released. Thanks to the rumours, there was me thinking it was going to be a full frame mirrorless camera and instead we end up with another bulky dslr. I would love a smaller camera with a retro (read simpler) layout that doesn't require trawling through menus to setup for a shot. Whilst the layout is 'retro', this camera is just a dslr without video and wifi yet stupidly priced. If only Fujifilm made a full frame camera! The menus simply aren't a problem with this camera. Full frame and then a smaller mirrorless body would mean entirely new lenses. (Like the Sony A7/R). Wifi is not exactly universal, I believe there are different standards around the world, so it's best to leave it out. Anyhow would add space. Video takes more power so the bigger battery would add space and weight. That’s what the used departments of B+H or Adorama, etc are for. I think 6D is as good if not better. Smaller, better AF, video, ergonomics and $1,000 less. Df only better if you need better iso above 12,000. Nothing else really. 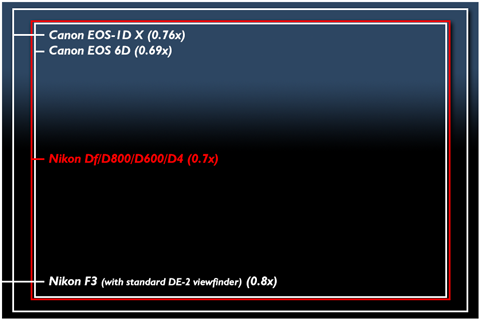 6D is nice, but not quite the high ISO performance of the Df. Also of course, the neither the Df or 6D sell for less than $1000, and that's not going to happen for a while. Then video in the Df would mean a bigger battery. And there are all sorts of problems with video on DSLRs, some will get fixed, but not this year. 6D is better or equal in pretty much all aspects. No many can justify to spend $1,000 more for a lesser camera just for the look and superior ISO performance for 25,600 and upward. HowaboutRaw, you seem obsessed by extremely high ISO performance, most of us are not. I admit that high ISOs are important to me. And the 6D sure is good. But there are Canon sensor DR problems, here Zeiss can help, but then Zeiss helps Nikon too. Also what was the price of the 6D when if first released? It's been out for more than a year, so predictably its price has gone down. Same will happen with the Df in 18 months.